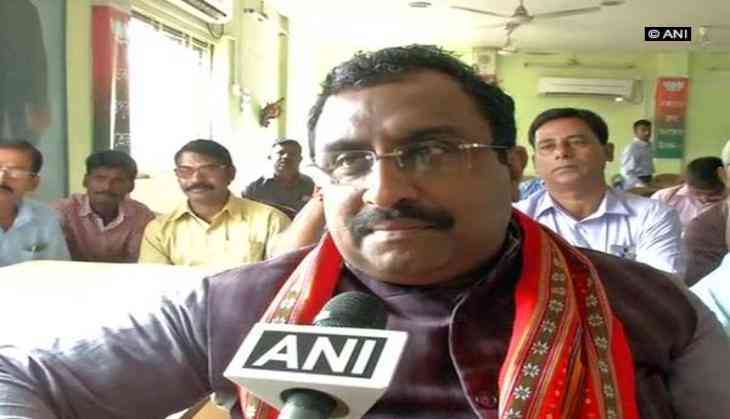 Bharatiya Janata Party (BJP) General Secretary Ram Madhav said that Pakistan has become the epicentre of global terror while expressing hope that it would understand the "value of friendship with India" in future. Addressing an event commemorating the second anniversary of Indian Army's surgical strike, Madhav said, "We have a country as our neighbour whose Prime Minister changes, but not its policies. Today, no international political analyst or expert can say that that there is one government in Pakistan." "There are three governments in Pakistan - one is run by Pakistan Prime Minister Imran Khan, whose government's power is restricted to his house. The second is run by the Army and the third one is run by the ISI. The forces in Pakistan use terror as a political weapon. Pakistan is the epicentre of global terror today. Since we are their neighbours, we get to face their wrongdoings. But, today we are ready to face them," Madhav said. He further said that Pakistan should understand that India does not want enmity with its neighbours. "Leaving Pakistan, all our neighbours are good friends with us. The world today is recognising our efforts. We hope that one day Pakistan understands the value of friendship with India. We look forward to that day, but pending that we won't tolerate any mischief from the other side of the border," he added. The surgical strikes were conducted on September 29, 2016, by the Indian Army in Pakistan-Occupied Kashmir (PoK) in response to the Uri terror attack wherein 18 Army personnel were killed. A team of commandos from the Army's Para Special Forces destroyed at least four terrorist launch pads during the strike. "This is for the first time in our country that we are celebrating our valour. Our armed forces are very strong, but we have never made them realise that we feel honoured by their bravery. Terrorism started in India in early 1990s. For 30 years, we only heard that terrorists enter the Indian region and kill our people. Under Prime Minister Narendra Modi's vision, we have inverted this story. This time, we entered the houses of terrorists and killed them there," Madhav said. Stating that the Modi government has zero tolerance policy on terrorism, Madhav reiterated that India will not tolerate the global menace. "On one side we thank the armed forces and police for their valour, dedication, courage and their preparedness to lay down their lives so that we all can live happily. On the other hand, we want to tell our neighbour (Pakistan) that now Prime Minister Modi is running this country. Unlike earlier, now we are not going to tolerate whatever you do. The Modi government has zero tolerance policy on terrorism. We won't tolerate terrorism," he added.